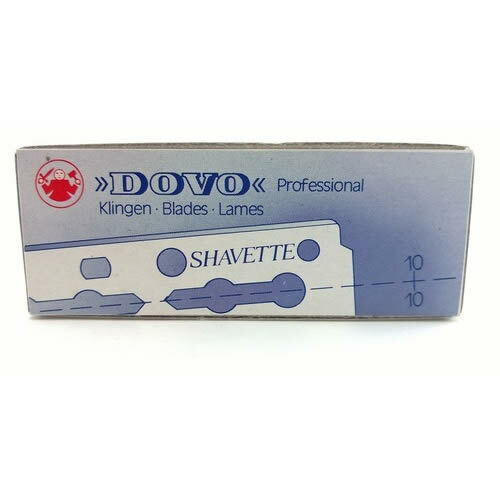 Great value pack of 10 replacement blades for the Dovo Shavette. These Dovo Shavette Double-Sided Long Blades are made from quality stainless steel made in Solingen, Germany. They are the perfect replacement blades for the Dovo Shavette straight razor. Each blade has been perforated so that it can easily be snapped in half. Available in a pack of 10 blades. £11.40 (inc. VAT) Why no VAT? We're a trade wholesaler and quote our prices without VAT to help our VAT-registered customers understand the true cost of a purchase.